Unique on the South Shore! The Austrian Society of Montreal is having their traditional Viennese Ball on November 17th. On November 17th, 2018, the much anticipated annual Charity Ball sponsored by the Austrian Society of Montreal will attract a large crowd once again for a glorious evening of lively music and dance. For more information visite the website: balviennoisdemontreal.org. Our Saturday schools offer German classes for students of various levels. Our classes are ideal for both beginners and students who want to improve their German skills. Our qualified and enthusiastic teachers strive to provide their students with both excellent German language skills and with a better understanding of German culture and history. Our task is to promote and actively support the German language and culture in the province of Quebec . Our four Saturday schools teach German as a foreign language at all levels, to all age groups, integrating German culture, tradition and geography as well. Interested? Check the websites of our individual schools for details regarding the respective programmes and prices. The DSQ structure is defined in Article II of the new statute. The pillars of this non-profit organization are its members. They consist of adult pupils and/or the parents of minors registered at any of the four Saturday schools, all school personnel and those individuals who support the DSQ goals and objectives and provide an annual membership contribution. These members elect the board for a two-year term at the Annual General Assembly. The present board consists of eleven members who belong to the board of directors either by virtue of office, or were duly elected at the first annual general assembly in November 2007. The eleven board members in turn elected the president, vice-president and treasurer. The vote to appoint Mrs. Renate Sutherland as external auditor was unanimous. The DSQ functions thanks to the devotion of its active members who support the schools financially, or volunteer to participate on. The DSQ (German Language Schools of Quebec ) was founded in 2006 after the dissolution of the former TCA association (Trans-Canadian Association of German-Canadians) in 2005. The creation of this non-profit organization and its new name brought new energy to the organization which rests on a more than 50 year old tradition of promoting German culture in Quebec. In the transitional year 2006 three DSQ founding members worked together with the four Quebec Saturday school principals and with the support of the German Eastern Canada consultant. They formulated the statute of the new organization. This statute was ratified by the present board members at the first Annual General Assembly held in November 2007. The new Board of directors was elected at that same meeting for a two-year term. For over 40 years, our classes have been ideal for both beginners and students who want to improve their German skills. 1. Why choose your schools? 3. Can I apply for an internship or a job? If you wish to join our dynamic and committed teaching staff, the German Language Schools of Quebec always welcome written applications from teachers and students alike. We teach a total of 30 Saturday mornings a year, from September to May. Please send your resume to info@ecolesallemandes.org. 4. Does your school offer recognized qualifications? Our schools give language proficiency diplomas which are recognized in Germany. The B2/C1 language diploma gives our students direct linguistic access to German universities. 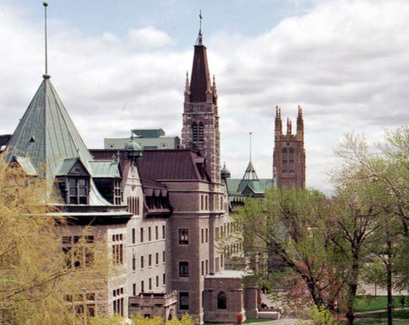 High school students studying with us will have their course credits recognized by the Quebec Ministry of Education. 5. Is it possible to participate in exchange programs? Our schools participate in the Quebec Ministry of Education's Exchange Program between Quebec and Germany. We teach those high school students the language and also prepare them culturally so that they obtain the maximum benefit from their stay in Germany. 6. Can we participate in contests? During the school year, we encourage our students to take part in German contests. The Goethe Institute “Award of Excellence” is available to students of all language levels. Those with an active imagination and a talent for writing and podcasting could win a stay at the language camp in Minnesota. Every year the German Consulate offers young Canadian students the chance to win a one-month trip to Germany, an opportunity to learn all sorts of wonderful things about the country. Last year two of our students were the lucky winners. 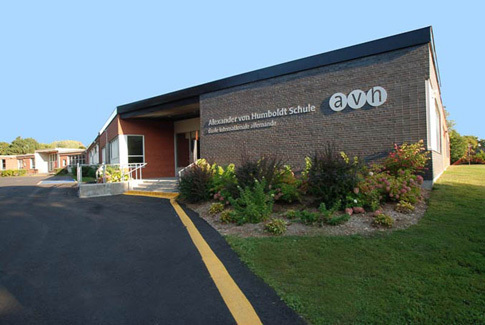 If you wish to join our dynamic and committed teaching staff, the German Language Schools of Quebec always welcome written applications from teachers and students alike. We teach a total of 30 Saturday mornings a year, from September to May. Please send your resume to info@ecolesallemandes.org. I was in search to gain knowledge of the German culture for many years. I want to be able to communicate in German with my friend. I spoke German with my grandmother as a child and I want to get it back as a part of my heritage. I have been offered a job and I want to know the basics before leaving. Thus I have family that only speaks German. I listen to German songs and would like to understand what they are saying. For all inquiries, please contact us. You will receive a prompt response from our dynamic and caring staff.